Showtime To Air Documentary On NYT Exposé [VIDEO] - Joe.My.God. Mere hours after the story was published, Showtime revealed that a camera crew tracked the reporters throughout the investigation, which lasted over a year. 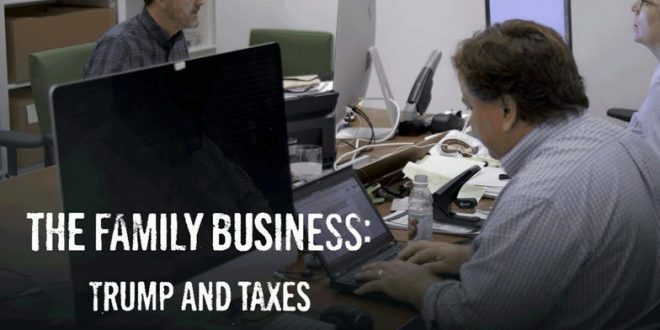 And a documentary short chronicling the arduous process—called The Family Business: Trump and Taxes—will air this Sunday. The documentary short hails from the filmmaking team behind Showtime’s docuseries The Fourth Estate, which also infiltrated the New York Times offices—to chronicle how the paper’s reporters cover the Trump presidency. Directed by Jenny Carchman and produced by Liz Garbus and Justin Wilkes, The Family Business: Trump and Taxes will air on Sunday, October 7 at 8:30 P.M.